The Glyder Movement is designed to support qualified pros and influencers that fit our active apparel brand. The Glyder Movement strives to strategically implement our core athletic apparel in various fitness and outdoor avenues, by starting with you— the professional, the instructor, the trainer, the leader, the student, the outdoor expert…the DREAMER! Our primary goal is to exclusively endorse the Glyder Dreamers who embody our Limitless Movement. Membership is by application, is not guaranteed and can be revoked at any time. 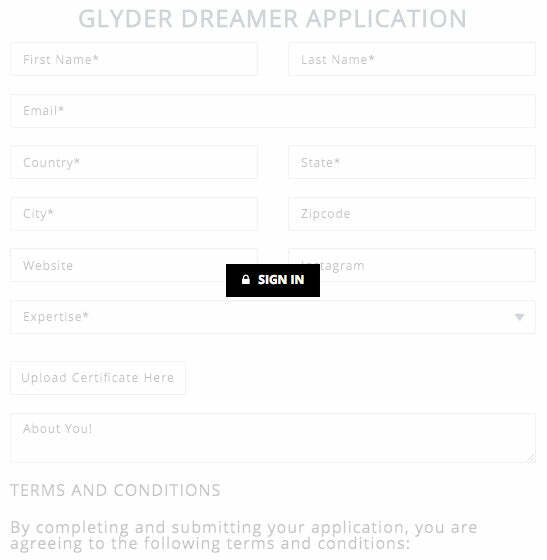 You must be logged into your Glyder account to view this application.